For Foreign Travel I Call Railbookers. When it comes to travel arrangements, I book it myself if it’s in the US and Canada, including air, rail and hotel, but I turn to a pro for travel elsewhere in the world. 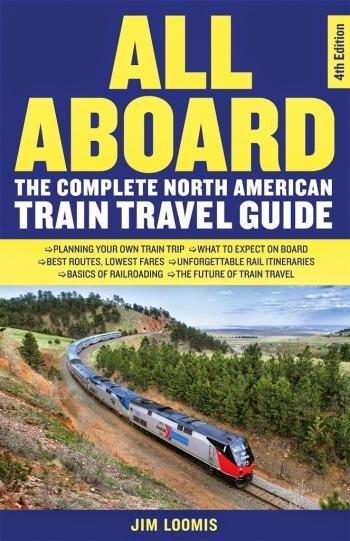 If you’ve been to Europe and traveled by train there, you know that there are so many trains going to so many destinations over so many possible routes and offering several classes of service that it’s easy to get confused. For instance, It took me a couple of trips before I realized what these little devices were for. They’re in every railway station, strategically placed as you go from the waiting area onto the platform. If you’re holding an “open” ticket—that is, for a train without a reserved seat—you must validate your ticket by slipping it into the machine which stamps it with the date and time. If you don’t, and a conductor on board checks the ticket and sees no validation, you can be fined. But if you’re on a train and your ticket specifies a specific seat in a specific car, no need to validate. Well, OK … but who knew? 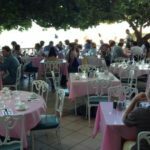 Those little-but-important details prompted me to seek professional help a few years ago when I was planning a fairly complicated itinerary that included rail travel that would literally take me around the world. I had roughed out where I wanted to go and when, but found myself in over my head when I tried to plug in specific trains. That’s when I took the advice of Mark Smith, the Man in Seat 61, who referred me to Railbookers. They have offices in London, Los Angeles and Sydney and they specialize in train travel. Railbookers made all the arrangements for that extended trip and I’ve called on them for two trips since then. My upcoming travels will include Paris, a couple of small towns in France, two days in London and then up to Scotland for the Royal Edinburgh Military Tattoo. Matthew Foy of Railbookers worked out my itinerary, did all the ticketing for all the trains, reserved accommodations for me in hotels all along the way, and got me a choice seat for the Tattoo. It all “got real” last week when a packet arrived by courier from London. Everything was all neatly laid out in chronological order: train tickets, vouchers for the hotels, and of course my ticket for the Tattoo. I went through everything slowly and methodically, day by day, checking every ticket and every voucher against my itinerary. As expected, it was all perfect. I’m off in three weeks. Regular reports and photos to come, of course. Previous Amtrak’s New Chicago Lounge. NextPlease DO Tip in the Dining Car. I’d suggest ‘composting’ your ticket anyway, even the ones with a reserved seat. 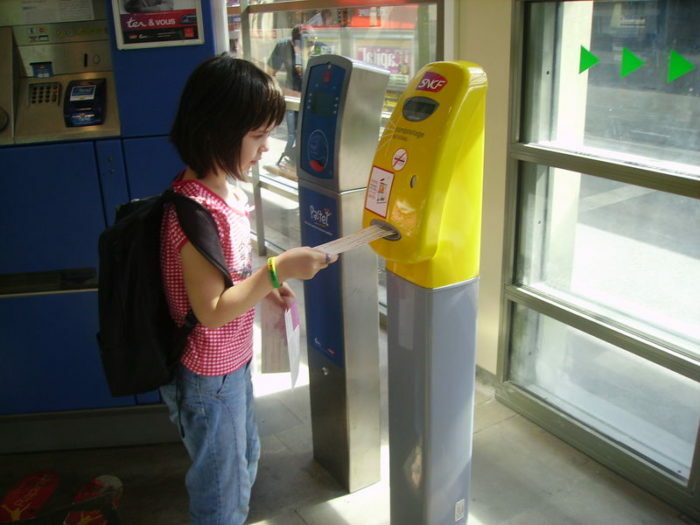 Yes, the French use ‘composter’ for the act of date-stamping your ticket in one of those machines. Each country is different, your photo shows the French stamping machines of SNCF, but you have to stamp your (regional) tickets in Italy, too, the regional tickets in Germany (often valid on bus, subway and train within the area), etc, but not in Belgium, Spain, the UK etc. The Dutch have changed their system, you still have to validate your ticket, but also tap out, as they are smart tickets, the exception being international tickets. Yes, thanks … my point exactly. For the first-time visitor to Europe, it’s very confusing. Also, on at least one occasion I can recall, my reserved seat ticket didn’t fit in the composter. International tickets don’t need to be stamped, that’s why they’re deliberately bigger, often. So if you buy your TGV tickets at say the Belgian Railways, even for a trip inside France, you don’t need to stamp them, these are so-called CIV tickets. But if you buy a French ticket for inside -or even from- France, you better assume they should be stamped, even if it wasn’t necessary, it doesn’t hurt. Things are changing, however, e.g. in Italy, more and more trains go ‘ticketless’, with Thello, or one of Italy’s handsome HST’s (Italo or Frecchia), you only need the booking reference. I’m not all that happy about that, every country is doing their own thing, and the traditional CIV tickets which allowed point to point travel are often no longer offered. It’s strange, somehow, that in an age of ultra-fast internet and linked databases, it’s virtually impossible to buy a ticket from say Saint-Nazaire in France to Balatonfüred in Hungary in one go, your ticket will need to be split up. I the good old days, an office clerk would browse through the tariff books to find the adequate route, the exact number of km travelled in each country, and would have written you the ticket by hand, if necessary.